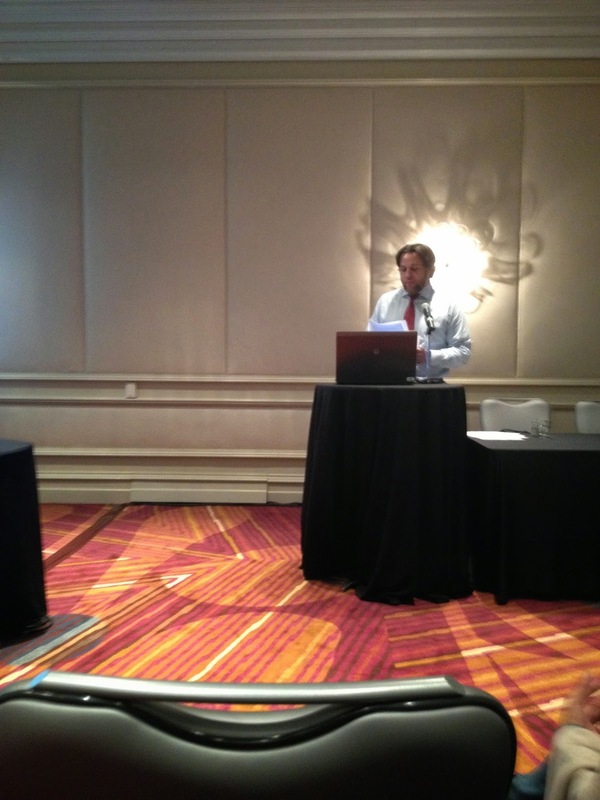 On May 8-11, the American Association for the History of Medicine held their annual meeting in Chicago, Illinois. PhD students Leslie Baker, Fedir Razumenko, Amy Samson, Erin Spinney, and Blaine Wickham, Post-doc Katherine Zwicker, and Professor Erika Dyck attended. It was a fun weekend filled with great papers, interesting discussion, and sightseeing adventures. In the afternoon before the opening reception, attendees were given the rare opportunity to see the inner workings and archives of the American Medical Association (AMA). 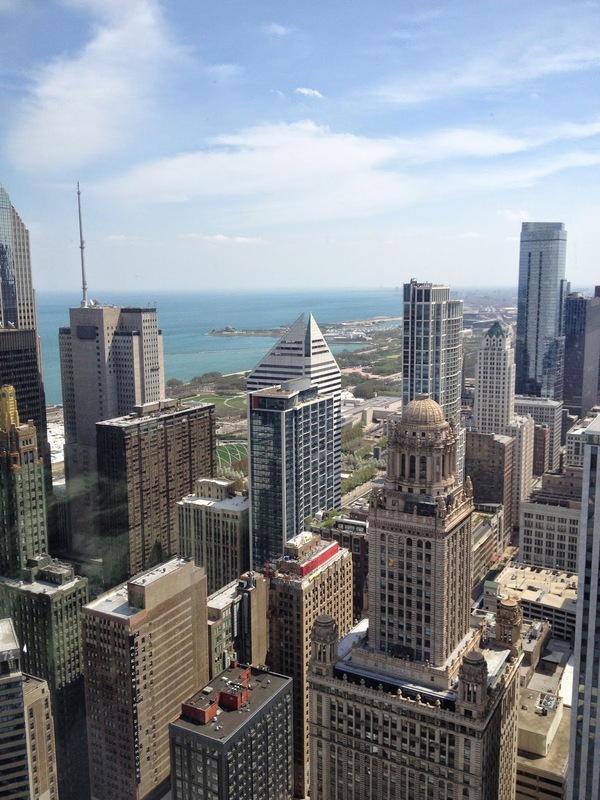 The AMA, which relocated to the upper floors of the former IBM building at 330 North Wabash in Summer 2013, offered some fantastic views of downtown Chicago. The AMA historical archives hold over fifty collections, yet only the Historical Health Fraud and Alternative Medicine Collection is open to the public. The next three days of the conference contained traditional consecutive paper sessions, as well as experimentations with new formats like roundtables and luncheon discussions. Highlights include the standing room only crowd at the "Without Men Would There Be No 'Other'?" roundtable on the use of masculinity in the history of medicine, and the interactive presentations at "Medical History in Other Venues: Theatre, Festivals, Blogs, Digital Games, and More.” Blane Wickham, in a panel chaired by Dr. Dyck, presented an interesting look at patient labour and thoughts on its perceived therapeutic value, at the North Battleford Mental Hospital in the early 20th century. Luncheon sessions provided much food for thought (pardon the pun). Panellists at "Blogging the History of Medicine," discussed the increased importance of blogging and the use of social media among academics, and how blogging has become a necessity for libraries and archives. "Silos or Synergies: Considering the History of Interprofessional Education and Practice in the United States," raised questions about how history can be used to understand and influence the current trends in medical and professional education. The city of Chicago was a prominent feature throughout the conference. The downtown location of the conference hotel meant that many sightseeing opportunities were within walking distance. Millennium Park and Lake Michigan were easy to get to on foot, while the historic Navy Pier was fifteen minutes away using the Divvy bike share. Saturday night saw us at the Green Mill, a jazz club modelled on the appearance of Uptown House in Harlem in the 1940s, for performances by Karrin Allyson and Sabertooth. Fantastic pictures! And a wonderful account of the conference.